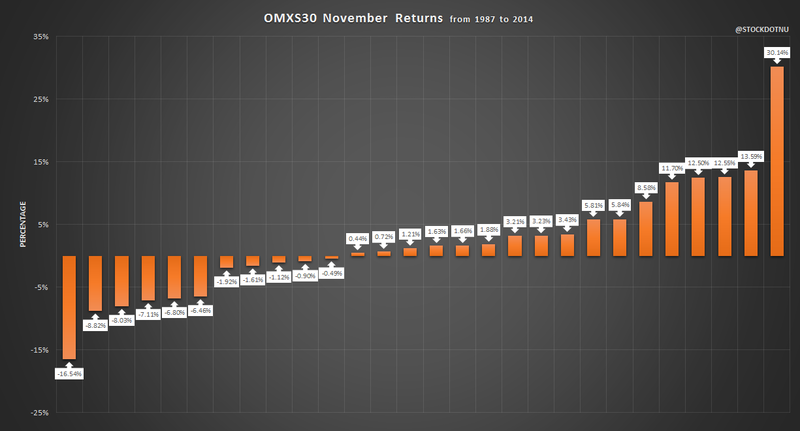 Monthly statistics for OMXS30 based on the closing price between year 1987 and 2014. 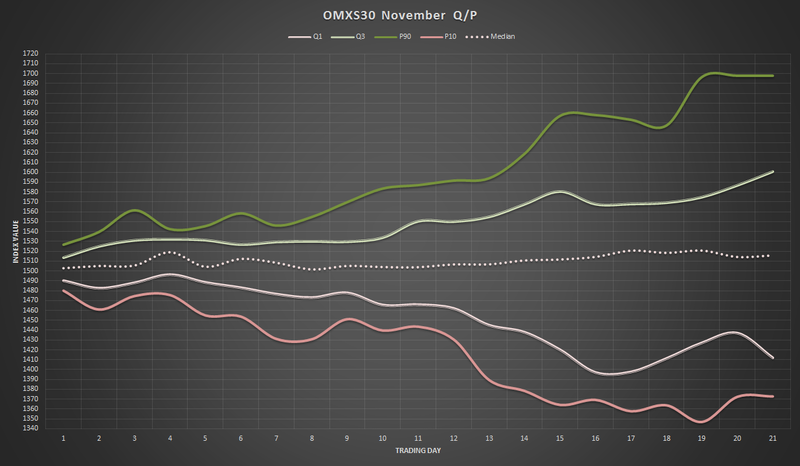 The Q/P graphs are quartile/percentile for the month and based on Close of October, then recalculated to fit November. 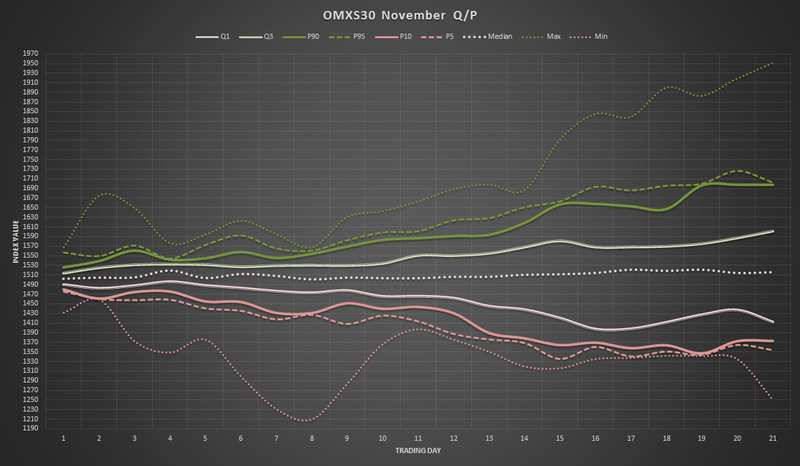 First graph are with MAX/MIN, next is zoomed in and from P90/P10. Matrices, read from left and up for variation of ENTRY and EXIT. The matrices show different things such as index points, sum, win rate, win rate mean/median, avg. trade, profit factor, total net profit, avg. trade net profit, median and standard deviation. Total net profit is calculated at 100 000 and no specific currency. Total net profit is profit minus loss and avg. trade profit is average profit per trade. 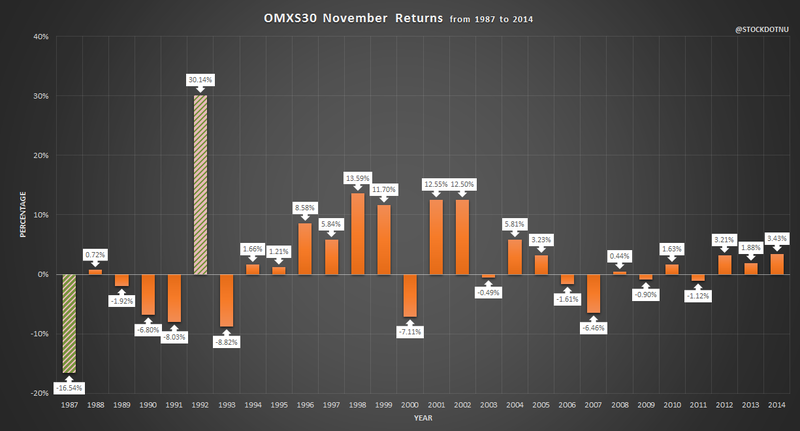 Count matrix is how many trades there are in the data set, most are 28 but the last days of the month can vary because some months is longer or shorter than others. Matrix graphs, sum %, win rate %, avg. trade %, profit factor, net profit graphs, median trade % and STDEV, with various ENTRY.